by David Cameron. From Annual Report 2016, written in March 2017. You are on the Tube in London and you hear the simple words ”Mind the gap”. Just three words. These words could be the motto for any centre for research based innovation, but are especially relevant for SIRIUS. We have several gaps to mind. 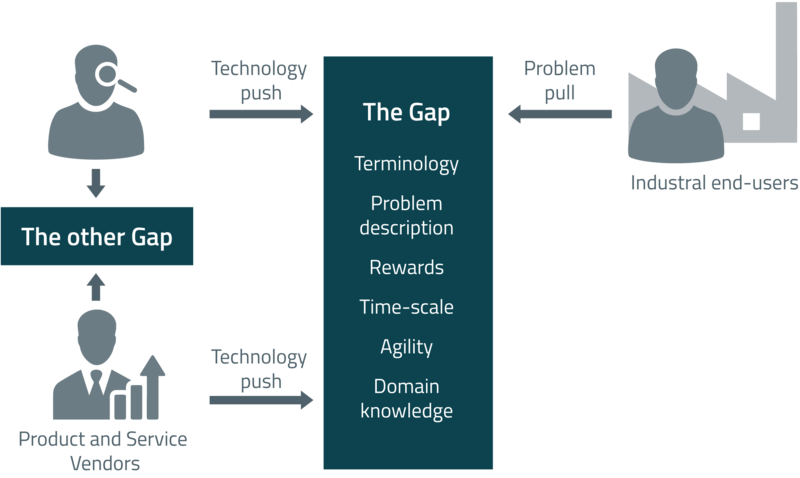 The first gap is that between information technology (IT) and business problems. Perhaps there are two gaps to mind here: one between academic IT and commercial IT and then another between IT (academic and commercial) and business problems. Bridging this latter gap is a constant challenge. Bring academic IT research into the mix adds to the difficulty. SIRIUS minds the gap by creating an innovation ecosystem that brings academics, commercial IT firms and end users together to work on research that solves pressing industrial problems through implementation in commercial products and services. The researchers provide the resources and technology push in the projects. 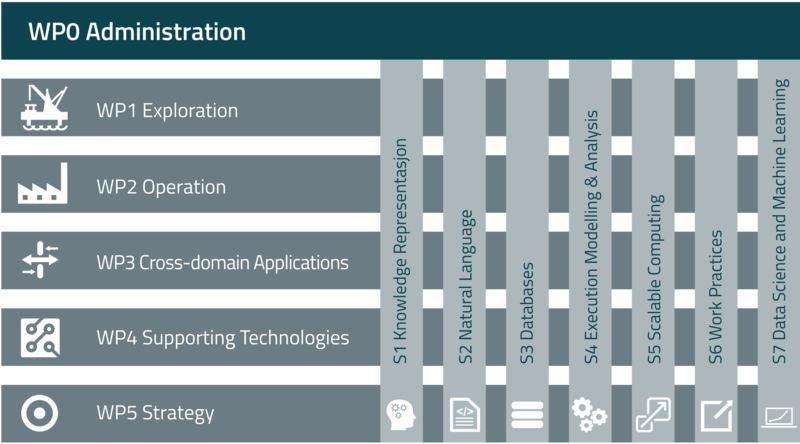 They are organised into six strands or research areas: knowledge representation, language technology, databases, execution modelling and analysis, scalable computing and work practices. In addition, SIRIUS is working with the BigInsight centre to build skills and resources in data science and machine learning. SIRIUS projects are developed and approved using a standard staged-gate model for innovation. Technology roadmaps are developed to define the areas of interest to the centre and ensure that the work done is novel and meets real needs. Scoping work is essential for allowing researchers, vendors and end-user to talk together, identify business needs, potential matching technologies and research and generate project ideas. This activity is essential to ensuring the relevance of our work. It is for this reason that up to a third of our partners’ in-kind labour contribution is used for scoping. Project ideas generated by scoping are put into a project pipeline, managed by the relevant work package manager. These ideas are reviewed by the centre’s Strategy Board and the most promising become feasibility activities. A feasibility activity defines a project so that it can be funded – either by preparing a proposal for external financing or as a SIRIUS innovation project. Note that the scoping and feasibility activities are an essential part of the centre’s scientific activities. Scoping work is an effective use of a busy end-user’s time. It is rewarding for both the end-user and the researcher.